We used to go here all the time... not sure why we stopped. But I suggested it for lunch on black Friday. The burgers were really good. The server was very attentive and helpful. All 3 of us had some kind of burger and we all enjoyed it. It is pub food (burgers, sandwiches). It was like $35 for 3 people for a burger and soda per person. Not bad at all. First time we stopped here. My wife had the open faced roast beef with fries and I had the turkey. Both meals were great. It was a very cold day in December and this was the perfect comfort meal for the weather. Food came out fast and the price was right. Only problem is we both wanted to take a nap afterwards. It felt like we just ate a thanksgiving meal. Very cozy tavern to sit and drink for hours - and meet and talk to some interesting people. Reminds us of some of our local taverns back home. We look forward to coming here every year! We checked out Whisker's Pub for lunch will visiting OC, off season. What a fun sports bar with great food, good brew and walls of Redskin, Colts and U of MD memorabilia! The menu covers appetizers, soups, salads, sandwiches, burgers and entrees. There is also a kids' menu. We had the Whisker's Burger: cheese, fried mushrooms and onions. You have a choice of cheese, how you want your burger cooked and another additions. Delicious!! Burgers and other sandwiches are serves with potato chips and pickle, but you can sub in fries, sweet potato fried or fried onion rings for an added charge. We had a Sweet Water 420 Ale on draft. There was also Miller Lite, Yuenling, another IPA and Bud on draft. They also have a good collection of canned and bottled beers and an extensive bar. The bartender took care of us, even though we were at a booth. Nice gentleman who gave us a history of the place and owner. We used to come here several years ago but stopped because it had become inconsistent. We decided to try it again and it has improved. The food is good, local bar a atmosphere and attentive staff. We will be back! Love this place. Small cozy local spot. All menu options are great. Don't let the word out. Checkout the specials. Great bar situation. Trying to find a place to eat for a large family after a Cheerleading competition, we came upon a pub. Our group varied in age from 15 to 71 and all enjoyed the selection, quality of food, and price. If down here again, will be back. We've been coming to Ocean City every summer for years, but never stopped in and now we've been twice in one month. 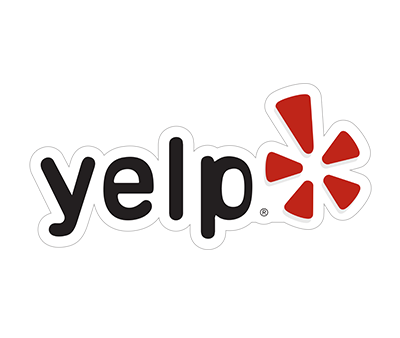 The atmosphere is fun and relaxed, and the service has been so friendly & quick both times. I highly recommend the burgers. The onion rings are good, too. You won't be disappointed! We come here several times a year. I usually get burgers and/or wings. My wife usually gets a special. The good is always excellent and service is friendly. A hidden gem in a shopping center. I think I was served on of the best burgers I have had all summer right here! I absolutely loved it. The prices are right in here as well. When you see a lot of locals, you know the food has to be good. The bartenders have been there forever and it's like walking into home. Definitely try the burger if you decide to stop in! I have been coming here for right 8 years, and I love it. The food is great (always go for the fresh catch on Fridays, unless it is the bacon wrapped scallops - save them for me!). The owner and bartenders are great, come as a tourist and then keep coming as a patron! This is an excellent local pub that a lot of the locals walk to and eat at. It was definitely within walking distance of where I stay. Happy hour is every day of the week 4-7pm. I'm attaching a photo of the happy hour menu. I highly recommend on the dinner portion the fish tacos. I got the blackened fish tacos two days in a row in their excellent. The wings are nice and crispy and I highly recommend the garlic. But be warned! You will be keeping the vampires away for a long time! Lol! I also try the old Bay wings and they were nice and crispy and tasted great. The garlic butter clams are to die for as well. We stop by for lunch in this seat-yourself low-key vibe pub. My husband and I had two burgers - the Spice It Up burger and the Whiskers burger. Both were done to perfection. 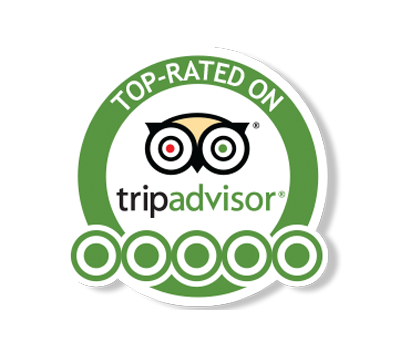 The staff were attentive and friendly. Would totally eat at this place again. THE BEST. I Oder it every time. We also tried and burger and a ham and cheese sandwich on a lunch visit. Wait staff very friendly and attentive! Will be a regular when visiting Ocean City. Terrific Burgers and Always check out the specials. Can't miss bar and grill with something for just about anyone's tastes. Nice return to Whiskers. It is a quaint smaller bar with great staff. Drink and food prices are reasonable. The food was prepared as requested. No flashy signs or screaming loud music....just a comfortable place to have a drink and a meal. It is a good place to stop in for a burger and a drink. The bartender was friendly but didn't bend your ear. Little shopping plaza on 120th....don't blink or you'll miss it. You don't want to miss this place. Going back this week. Look me up on Saturday afternoon!!! We just had lunch here today (Wednesday) and enjoyed our meals. Our first time here and we didn't know what to expect, other than it was open and there were people inside. Lots of locals and we enjoyed the daily specials of Beef Brisket Sandwich and Fish and Chips. We both upgraded (for $1 I think) to Sweet Potatoe Fries instead of regular French fries. The fish and chips was great, tender, flaky white fish and tempura battered, not heavy. My wife enjoyed her brisket, lots of pulled brisket and lots of BBQ sauce. We'll be back soon. Service was prompt and attentive. This pub is in a strip mall on 120th street. It is a hidden gem. The food was great, the atmosphere was warm and welcoming. If we weren't on our way out of town, we would have spent more time here drinking some beer. We will definitely be back! Every time we go to OC I have to eat here. The food is incredible! Its a bar but I could eat here daily for dinner. Also the service is nice! I almost hate to post this review because Whisker's is such a great pub and rarely has a waiting line as compared to other OC restaurants that routinely have 1+ hours wait. The food is superb and the beer selection is great. The bartenders are friendly and helpful, making it a fantastic visit. The blackened Mahi and crab cakes are tasty along with the onion rings. This place was great with really great customer service!!! The burgers were as good as the reviews say... I tried the Whiskers Burger and it had a ton of flavor... Also Adrianna was an awesome waitress... Hopefully she'll serve your table!! Whisker's is a great place to have pub style meal or appetizer that is family friendly. Add in one of their draft beers in a frozen mug and you're all set to enjoy any game on one of the many TVs. The Pub is setup as a Washington Redskin bar and has some great memorabilia all over the place. HTTR! The wait staff and bartenders are very friendly and are always hustling around. If you're a steamed clam lover, you have to try theirs....the best I've had anywhere! It is a typical pub with a fabulous pub menu. We especially like the Chesapeake chicken, their shrimp is great and the burger topped with crab imperial is wonderful. The prices are very reasonable. We go there a lot! We went here twice the burgers are great, and the wings and french onion soup so good. 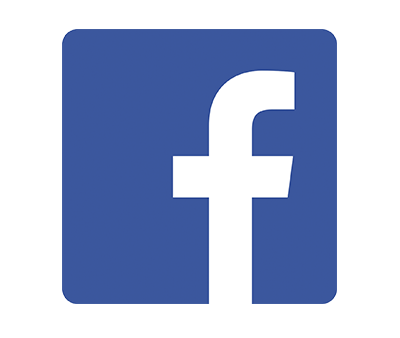 Very good service and really friendly. We order a Reuben every time we come for lunch. Reuben is made with turkey or corn-beef. Good place to watch sports on TV in a family setting. Nice selection of beers. Cannot believe I've never been here, after visiting Ocean City for 15 years! Excellent food (so much tastier than typical pub fare) fabulous service (thanx Katie) and friendly atmosphere. Seriously, couldn't ask for more! My husband and I went to Whisker's Pub on Saturday night and we went back Sunday night because the food was excellent (even bought soup to go so that I can have it back home). The service and atmosphere was great. Very quite and relaxing dinner. One of our best meals we've had in Ocean City and we've gone to alot of places. Its a wonderful place and can't wait to go back on our next trip back to Ocean city. We live in Ocean City, Maryland and have been to Whisker's Pub on numerous occasions especially when we have summer visitors staying with us. 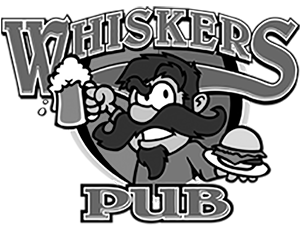 We have also recommended Whiskers to others looking for a good meal with great service and a nice menu. We recently visited Whiskers two times last week and both times were very pleased with the service, the drinks and the food. I don't recall ever having anything but good food at Whiskers. It is a small restaurant/pub located in the Food Lion Shopping Center at 118th Street and Coastal Highway. They stay open year round so it is great for us locals to find good food all year. Our first stop when we get to OC is Whiskers Pub for lunch and even a few more lunches/dinners during the week. Great relaxing laid back and delicious but best of all is seeing our favorite bartender Jay Bird!!! Always a good time. Don't miss out! We're in OC often enough to have tried most if not all of the bars and eateries and Whiskers is at the top of our list. This is a no frills / no pretense neighborhood bar. Good, reasonably priced food. You can never go wrong with their burgers but keep an eye out for the daily specials. My husband and I make the trip to Ocean City at least twice a year. Whiskers Pub is ALWAYS one of our stops. Whenever I think of a great burger, I always think of the Whiskers Trash Burger with Swiss Cheese, mushrooms, onions, bacon and blue cheese dressing (cooked medium, of course). This is the messiest, most awesome burger I have ever eaten! It is quite obvious that their meat is fresh, as it has a sweetness to it that you will not find in a pre-formed burger elsewhere. Combined with a side of sweet potato fries, this is the perfect meal. I crave these burgers all the time! The bartenders and staff are great. It always feels cozy. I highly recommend. We love eating at all the little pubs, great food and great service! We go there every trip to ocean city. Haven't been disappointed yet!! We have made Whisker's a stop every year for the past 12 years when we go ``down the ocean``. They have never disappointed with food or service. First vacation to OC MD. Really Great food & Service at Whiskers. Not the usual corporate hole in the wall. Better than Expected! !!!! Have you been to Whiskers Pub in Ocean City Maryland? If so, take a second and let us know what you think. We appreciate any feedback you can provide. Good or bad, we learn and adjust to our customers needs and advice! See you at Whiskers Pub! see more reviews or to write your own.